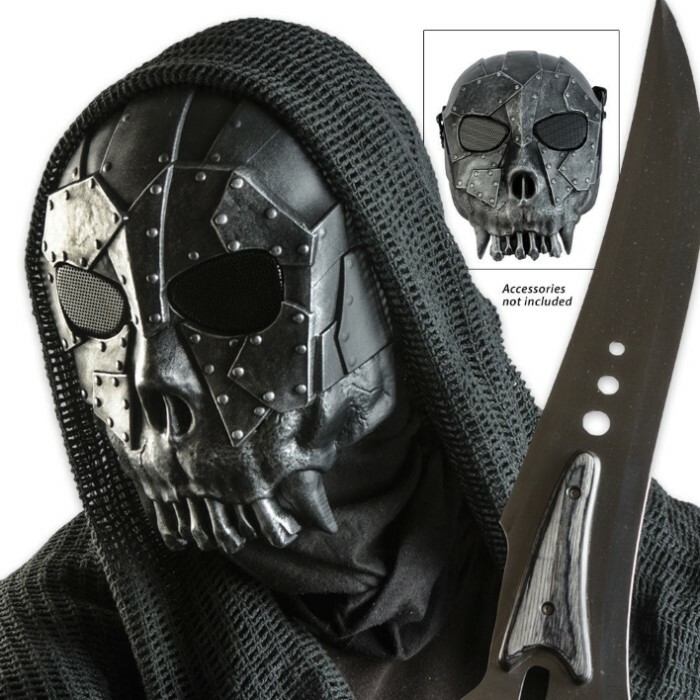 ABS Tribal Skeleton Facemask Silver & Black | BUDK.com - Knives & Swords At The Lowest Prices! 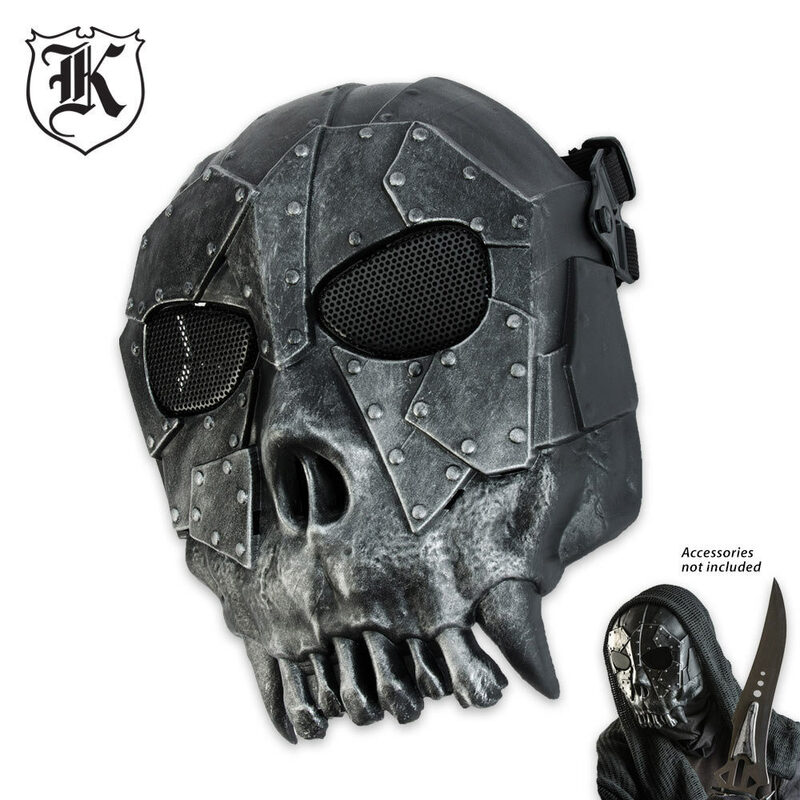 Add some zing to your next airsoft match with our new Tribal Skeleton facemask. 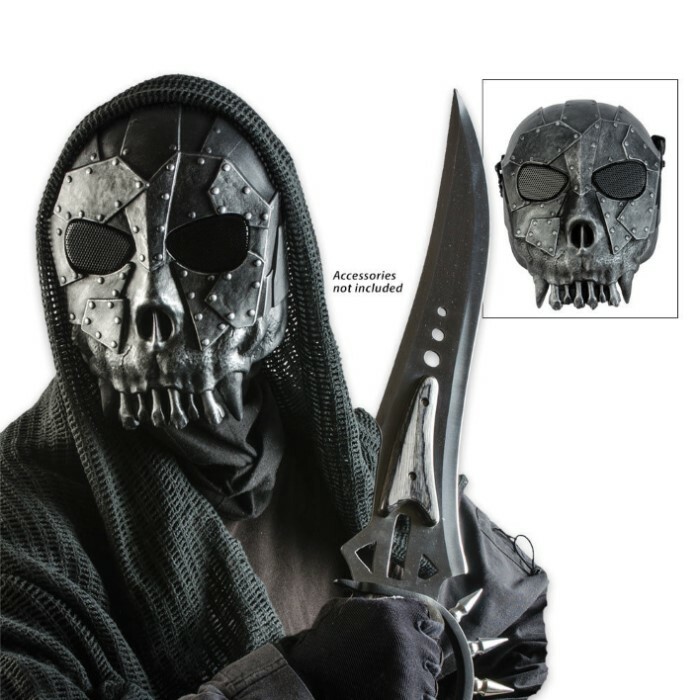 It's lightweight but effective, crafted of silver and black polymer ABS composite. The eerie design abounds with stunning details that will get you noticed. The adjustable straps allow you to achieve a custom fit.